I have a big Canon DSLR which I never use. I also stopped using my compact a very long time ago, when the iPhone 3G came out—a classic example of convenience winning over quality. 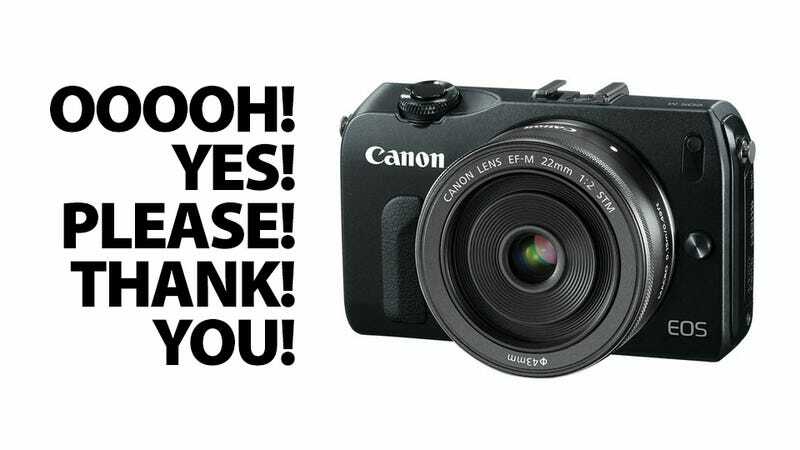 But this tiny beauty, Canon's new EOS-M mirrorless camera with EF-M lens mount, is making me droll for a gadget again based on its looks alone.